This week's product of the week is an amazing value, and makes for an ideal Christmas present, wherever your loved ones are located in Canada. 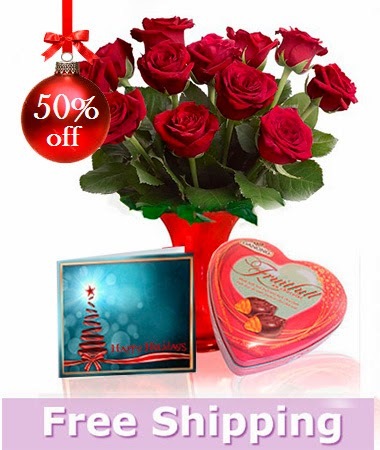 This assortment of goodies includes 12 beautiful long stem roses along with a hand blown glass vase, a personalized Christmas Card and a box of delicious, premium chocolates. The best part of it all? 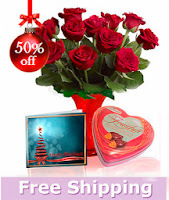 This combo package includes free shipping, and is a steal at just $59.99. If you're scrambling for a Christmas present this holiday season, check out the product page here and let Bloomex help you to De-Stress the Holidays in 2013.